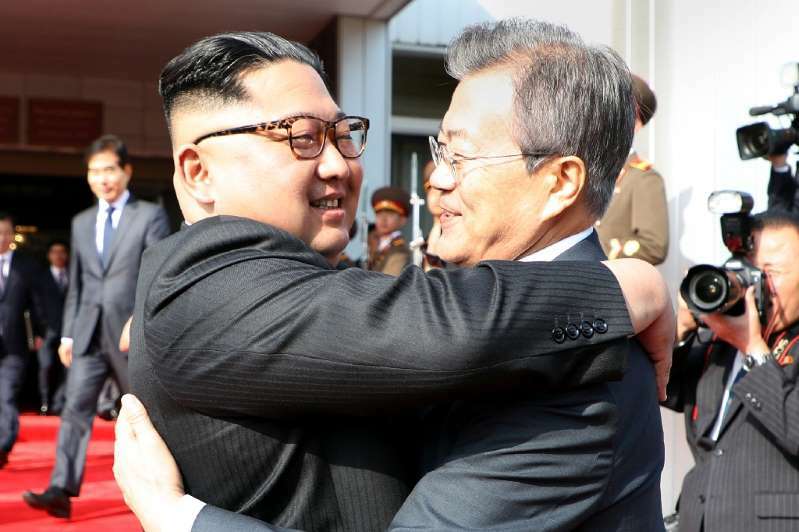 Although the South's unification ministry did not elaborate on where the summit would take place, Moon had previously agreed to visit Kim in Pyongyang during the autumn after the two men held a historic meeting in April. The overture came from Pyongyang, the ministry said, which suggested Thursday the two sides hold talks to "review progress" since the April summit that paved the way for a landmark meeting between Kim and US President Donald Trump in Singapore in June. [post_ads]Cross-border exchanges between the two Koreas have significantly increased since then, with the neighbours planning to resume reunions for war-separated families later this month at the North's Mount Kumgang resort for the first time in three years. The South Korean delegation at Monday's meeting will be led by Unification Minister Cho Myoung-gyon, who visited Pyongyang last month to attend a friendly basketball match between the two Koreas, the ministry said. "We will hold in-depth discussions with the North for a successful South-North summit," the ministry said in a statement. But even as ties have improved between the two countries, little progress has been made on the key goal of the North's denuclearisation. Although Trump has touted his Singapore summit with Kim as a historic breakthrough, the nuclear-armed North has since criticised Washington for its "gangster-like" demands of complete, verifiable and irreversible disarmament.